Desktop Toys is a Mac App developed bySoftware Solutions & Technologies AG. 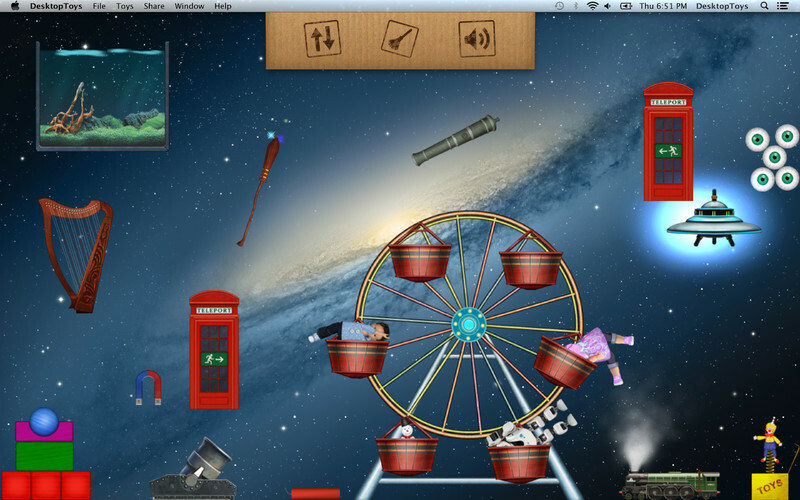 Firmly rooted in the belief that a little fun can help boost your mood (and your productivity), this cute app provides a variety of digital toys to play with on your desktop. There’s a reason that “cube warfare” is a huge industry: the tedious, hum-drum working conditions of a cubicle can be absolutely soul-deadening. 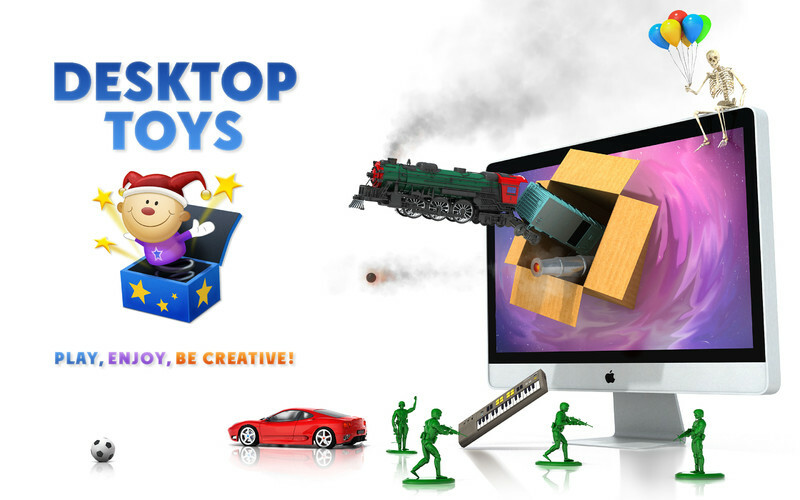 A toy, game, or other distraction can help to banish a case of the “3 o’clock blahs.” But rather than litter your desk with an unprofessional-looking array of toys and action figures, Desktop Toys for your Mac allows you to keep your toys a secret. Featuring nearly 100 different toys, Desktop Toys includes everything from balls and blocks to cars and toy soldiers. The toys are organized into categories like music, war, “fun,” sports, blocks, and more. The developers state on their App Store page for Desktop Toys that there are more toy sets in the works. 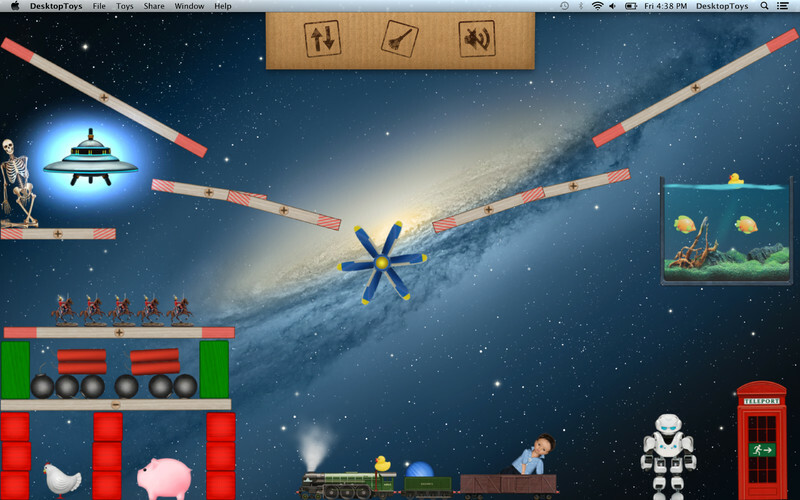 That’s great news, as the physics-based toys featured in this game create an almost Rube Goldberg-like sense of wonder and synergy. If you need a clever way to clear your head at work (or just procrastinate before getting to work on a big report), Desktop Toys is a fun way to inject a little whimsy into even the most dull or stressful days. Want to see this app in action? 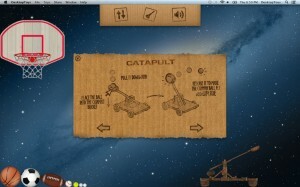 Check out this clip on Vimeo or this demo on Blip.